Bailey Dailies: Wonderful Winter Week! This was such a fun week!! Well, it was for me. Forrest had 5 tests so he was studying---no fun! I kept myself busy though! On Tuesday we had book club, hosted by Kelly Borders. 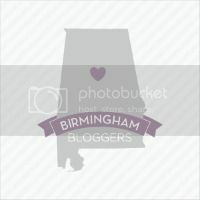 I was extra excited to go this month because I was bringing 2 new members--Farrah and Lisa! We also made a Christmas Jar, like the ones we read about in our book this month. It was very touching and I hope our recipient puts it to great use! On Thursday, Forrest took a break from studying and went to the Etowah County Bar Christmas party with me and Davis. It is hosted at the home of a local attorney and for the past 2 years we have had the greatest time! It is a great way to unwind with our colleagues and share some holiday cheer outside of the courtroom (which is generally anything but cheerful). The "real" fun for me started the next day. I was off and on my way to Knoxville to meet my friend Deborah so we could go to the Biltmore in NC. Neither of us had ever been there before and were SO excited to make a girls' trip out of it! We really wished Randi could have made it, but she ended up having some very interesting plans herself, and I'll leave it at that! :) The drive to Knoxville was NOT bad at all--right at 3 hours. I got to jam out to my Christmas cds in the car, which made the time pass quickly! As soon as I arrived at Deb's we jumped in her car and headed to NC. We were giddy with anticipation the whole way there! When we finally arrived on the property and hopped on the bus to the house from the parking lot, the driver kept commenting on how exciting it was to meet "first timers", because so many people are repeat visitors. When we rounded the corner and the house came into view, I was flabbergasted. The house was magnificent! 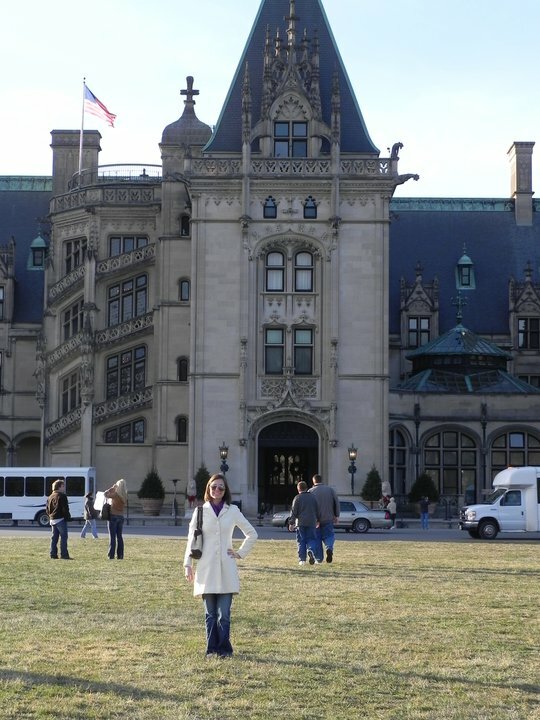 It was a little strange to see an enormous French Chateau out in the middle of North Carolina, but it was so beautiful! We seriously were squealing all the way up the drive way and couldn't wait to take pics! The house is truly a masterpiece and I know my pics don't do it justice. There was no way to squeeze the whole house in the frame and still be close enough to see the intricate details. You are just going to have to visit yourself! This was in the hot house. I LOVED the chairs and when I get a fire place I will fill it with plants, just like this! After taking pics of the house we went and visited some of the shops. I LOVED the Christmas shop--they had so many unique ornaments! I didn't buy any (mainly because I thought they were pretty expensive and didn't think the Vanderbilts needed any more of my money) but it was fun to get some ideas for decorating next Christmas! After shopping we grabbed some hot chocolate and headed to the gardens, which were of course, dead. The conservatory, however, was filled with beautiful blooming plants that had us oooing and ahhing and vowing to be better gardeners at our own homes! On the way back up to the house we spotted a bunny rabbit, and you would have thought it was the first one either of us had ever seen! We chased that poor bunny through the bushes to try to get a picture of him, but his camo fur served him well and we couldn't get any good shots! When we got back up to the house, the lights were all turned on---breathtaking!! There were lighted trees in the yard and luminaries all up the drive way. It was truly magical! Finally, it was our turn to tour the house on the "candlelight" tour. When we entered the amazing foyer, we were greeted by musicians playing Christmas songs and 4 ballroom dancers twirling around the room. Clearly, I was in heaven!! We were determined to snag some good pics so we were covertly click-clicking through the foyer and game room, as pics were not allowed. (May I just say that this was a little ridiculous AND may I point out that when Forrest and I visited Hearst Castle this summer, you could take pics AND the tickets were 1/2 the price of the Biltmore----just saying, Vanderbilts, just saying.) We entered the dining room and were floored---there was a tree, at least 20 feet high, filling up one end of the massive room. It was beautifully decorated with HUGE ornaments and had colorful presents tucked away under its long branches. Snap, snap, snap---busted. Deb and I both got busted by the "photo Nazi" lurking in the room, so we couldn't take any more pictures! Boo! Well, looking back I guess we shouldn't have, but it was just so pretty!!! We saw many other rooms, but my favorites were the bedrooms that had old clothes laid out in them, as well as the kitchens and pantries. I thought it was neat to see how and where their food was prepared! By the time we had made our way though the house, we were exhausted! We had been walking all day and needed some supper! We had to ride a bus back to our car and then drove to one of the restaurants on the property: Cedric's, named after the Vanderbilt's St. Bernard. We were ravenous--when they brought us rolls, we basically inhaled them and luckily they brought our dinner soon after. I'm sure they saw the hunger in our eyes!! After a little more shopping, we hopped back in the car for the short drive back to Knoxville. Deb had purchased a Christmas CD of songs played entirely by bells, so we listened to that "plinky plunky" music all the way home. What a delightful day! I spent the night at Deb and Quinn's house (which was adorably decorated for Christmas, btw) and got up early the next day to head back to Gadsden. I didn't have much turn around time when I got there, because I was going to go to Mass and then Kendall Skelton's wedding. Poor Forrest--he was studying the entire time I was out having fun! Since he had to work, Rachel agreed to be my date for the wedding, which was beautiful! I love going to weddings---it makes me think of my own and what a special day that was! I try to remember how I felt and what was going through my mind as the bride and groom say their vows. That sounds kinda cheesey, but it's true! Jenny actually is the wedding coordinator at the church where the wedding was held and this was her first wedding to do. I think she did a great job! The whole thing went off without a hitch! Also, she found out this week she is having a little girl!!! I'm so excited for the Sollies!!! After the wedding, Rachel and I rushed to the Country Club for the reception and my oh my was it gorgeous! I have NEVER seen the club look so good! The ballroom was tented and the arrangements were to die for! Check it out! Each layer had butter creme cake AND red velvet in it! I was so tired that I didn't get to stay until the end of the wedding, but I had a GREAT time and wish Kendall and Chris all the best of luck!! On Sunday Forrest came and woke me up to tell me it was snowing!! How much fun! I LOVE snow but not the hassel of losing power and being iced in, so flurries were definitely right up my alley! We were excited to see Ruffles' reaction to the "white stuff" but she was NOT a fan! Poor little thing did NOT want to touch her feet to the cold grass AT ALL! She kept hiding in the carport by the door so we would let her in! Sonny, on the other had, loves the snow and the cold, so he was running around totally unphased. I decided that since I was up, I may as well go to the store, so I was able to get all of my grocery shopping done by lunch time. What did I do with all that extra time?? Why, cook, of course! I had Christmas music playing (Josh Groban's Christmas album=heaven) and was watching the snow fall out of my kitchen windows. What a perfectly delightful afternoon! I made a big pot of Taco Soup, a recipe that I found on my friend Lauren's blog (have I said that Lauren is having a boy???? How exciting!). It smelled amazing and Forrest kept coming to take a whiff of it while it was bubbling. I felt like such a grown up, making soup and holiday treats! I know that sounds silly, but I did! I mean, soup just sounds like an adult thing to make, if you ask me! Ruffles and I went to Mom and Dad's for dinner and my sister was back from college so she ate with us too! When I got back home, Forrest was still studying. Poor thing! Please keep him in your prayers this week--it is his last one and has 5 tests!!! Hopefully I'll have some fun things to write about his adventures soon! YAY for soup! :-) I'm going to have to make these "Snuggles" asap! They look delish, and I love salty and sweet together!! I actually went to www.allrecipes.com to get some new potato soup ideas (again with the soup! HA!) and a recipe for these popped up on the home page. Totally weird, btw! It calls for baking them at 275, so maybe you could try that next time. :-) I can't wait to try them. I definitely will try that! Even though mine looked a little jankety (a technical term), they were still good nonetheless! Thanks for the recipe! 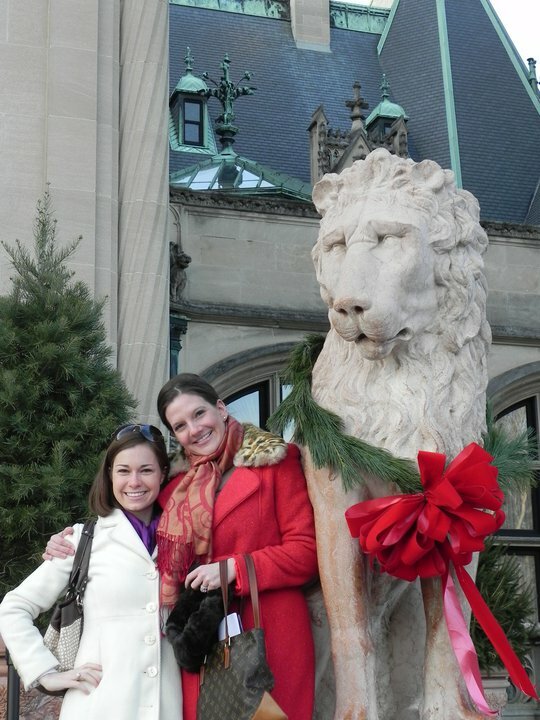 I have always wanted to go to the Biltmore at Christmas!!! How fun! That wedding was beautiful and wow to the reception!!! My mom makes those same little treats with pretzels, rolo candy, and a pecan. Yours are more colorful and fun though! !